Jeep Safari at Kaziranga National Park will prove to be the wildest travel experiences of your life. This park is located in Assam along the floodplains of the river Brahmaputra on the north, and Kabri Anglong hills on the south. Kaziranga National Park is split into 4 zones so that it’s easy to explore the entire animal kingdom. Declared as a National Park in 1974 and a UNESCO World Heritage Site in 1985, Kaziranga is known for the great one-horned rhinoceros. You’ll have ample time to explore, take pictures and take in the beauty of the place. Jeep Safari at Kaziranga National park is one of the best ways to explore and unfold the vigour and splendour of this sanctuary. With the sheer forest, tall elephant grass, and shallow pools, it is the best place to experience raw nature. Kaziranga has been a source of inspiration for several books, documentaries and songs; it is altogether a different world on its own. 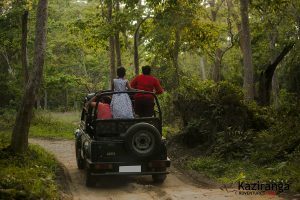 The serenity and unique biodiversity that Kaziranga has in terms of its flora and fauna makes it perfectly suited for wildlife safaris that include Elephant safaris and Jeep safaris. 1. Tour Operator from Kaziranga Adventures is only responsible for booking the seat and collecting the payment from tourist. 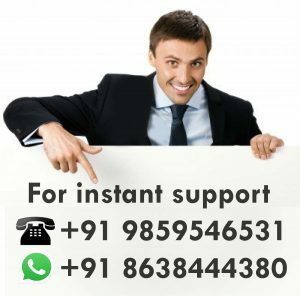 Also he will provide the payment receipt at the time of payment. 2. Entry pass should be collect by the visitor(s) by himself/themselves from the Government Ticket Counter along-with the company from our Tour Operator(s) at the time safari. 3. The above rates may change without any prior notice. 4. Red dress is not allowed inside the Park. It is recommended to wear green or any other forest suitable colour during the safari. Bright colours not allowed. 5. Plastic bags and carrying food inside the Park is not allowed. Luggage not allowed. 6. The visitor need to capture their photo and display their identity proof while collecting entry passes. If required. 7. Camera charges will be extra. 8. Hotel pickup and drop service will charge extra. 9. We are not responsible in any delay or technical problems while collecting the entry pass from the Government Ticket Counter by the tourist themselves. 10. Safari inside the National Park may close without any prior notice from the Forest Authority.